Wait, there’s a game this Sunday? Who knew? OK, I admit it; I’ll watch the Super Bowl. I don’t want to, but I will. Let me explain. This native New Yorker has the fanatical misfortune of rooting for the wrong team in town. As a Jets fan, I admit that my allegiance is misguided. I’ve accepted my role as a second-class citizen within New York’s football fandom. Over the years, I’ve watched Jets teams lose games, seasons, and their minds in ways that would make the Bad News Bears blush. I’ve witnessed Super Bowl dreams, seemingly within reach, decimated by injury, ignorance, and ineptitude. This franchise is a bigger tease than a Kardashian. Kermit the Frog had it right: It’s not easy being green. Despite my eternal pessimism, I continue to passionately support them and hold out hope that one day, my Super dream of a championship might be a reality. 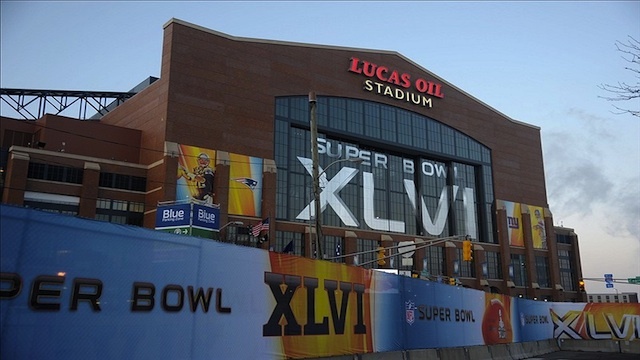 Until then, I’ll watch other teams compete for a Lombardi Trophy each February. On Sunday, I have the distinct displeasure of watching New York’s more successful team, the Giants, battle the Jets’ biggest rival, the New England Patriots, for a Super Bowl Title. It’s like being forced to watch your school’s bully and most popular kid fight to the death over the girl you have been chasing your whole life. I don’t dislike either team. I really don’t. I respect what the Giants and Patriots have accomplished this season, and in previous campaigns. Yet, the perennial dysfunction that seems to infect Jets seasons past and present leaves me green with envy over the successes of my team’s two biggest rivals. It’s my obligation as a football fan to watch the Super Bowl. I get it. I’ll be more interested in the wings and beer than the game itself, but yes, I’ll watch it. The cathartic viewing will tweak my pigskin inferiority complex, but ultimately build character. When it’s over, I’ll emotionally hit the reset button, and await a new beginning in 2012. There’s always next season. The optimistic cliché represents all that is great about sports. Especially in the NFL, a league predicated on parody. Before that new beginning, there must be an end. Apparently, the Giants and Patriots will do the honors on Sunday. At least that’s the rumor. Rex Ryan needs to keep talking a big game. Ryan is a lot of things: he’s blusterous, boisterous, and at times, obnoxiously confident. But, he is not the problem. The New York Jets sputtered to the end of an underachieving 8-8 season Sunday in Miami, and now a long offseason littered with difficult decisions looms larger than Ryan’s ego. Their performance down the stretch was uninspired and their lack of team unity was embarrassing, but the blame shouldn’t rest entirely at Ryan’s feet (no pun intended). Sure, as head coach, Ryan is responsible for a lot of what goes on. He certainly made his share of mistakes in 2011, but his overzealous approach with the media is not one of them. All NFL coaches believe they are capable of leading their team to a Super Bowl. Ryan just chooses to consistently communicate it to the world. What’s wrong with being confident and letting people know about it? What should he do? Lie and tell the press that he doesn’t believe in his team and they’d be lucky to win 8 games? It’s possible that his big mouth pins big expectations on the backs of his players, but the attention he deflects away from them is also invaluable. In his first two seasons in New York, his methods were successful, allowing the players to just focus on football and get within 30 minutes of the Super Bowl…twice. 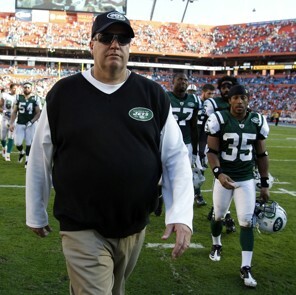 There’s no doubt, 2011 was a setback, but it shouldn’t define Ryan, or the Jets. Instead, how they rebound in 2012 will serve as a better barometer. Those begging for Ryan to tone it down next year should take a second look at what the real problem is: team unity. 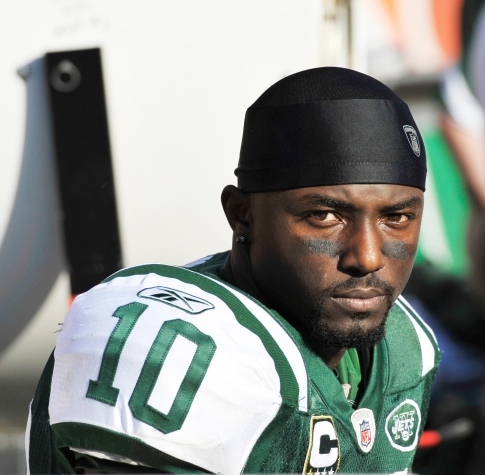 Extracting selfish players like Santonio Holmes and Antonio Cromartie would be a good place to start. Holmes has been nothing but a liability since signing his 5-year, $45M contract in the offseason, bringing shame upon himself, and the captain’s “C” he wore on his chest this season. His childish antics on the field, in the locker room, and in front of the media fractured the team, destroying all the harmony built during Ryan’s tenure to date. His spat with Quarterback, Mark Sanchez in a recent team meeting was also counterproductive and harmful. Cromartie’s inconsistent play proved detrimental to both the defense and special teams in 2011. His selfishness as a player, and immaturity as a person also became very apparent with his damning post-game comments on Sunday, openly questioning the efforts of the offense in front of the media. 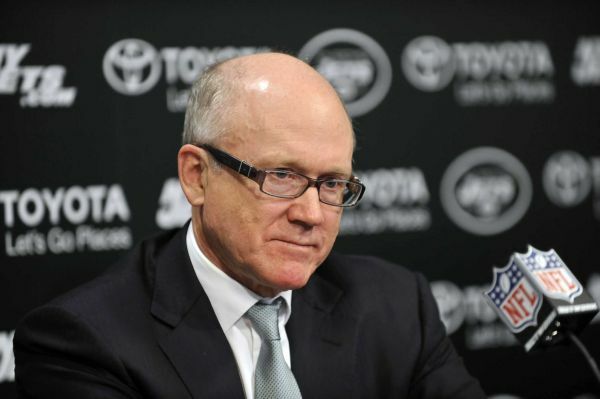 The Jets can do without both Holmes and Cromartie moving forward. Instead, they need to focus on taking care of true team leaders, respected veteran players who are passionate about their team, their job, and let their play on the field do the talking. Letting go of former Jets like Kris Jenkins, Tony Richardson, Shaun Ellis, Thomas Jones, and Alan Faneca proved costly. Current guys like Ladainian Tomlinson, David Harris, and Nick Mangold now fit the bill. Importing prima donna players like Holmes and Cromartie threatens team unity, creating a dysfunctional group of players rather than a strong unit fighting a common battle together. Ryan has always prided himself on his ability to coach even the most insubordinate players. Perhaps it’s time for Ryan to check his ego at the Florham Park doors and build his team around good players with even better backgrounds and attitudes. Some players are describing the Jets locker room this season as a “zoo.” It didn’t get that way because of the culture Ryan creates with his rants. Everyone loves playing for Rex, but not everyone can handle the freedom and player-friendly atmosphere he creates. Rex Ryan’s mouth is not the problem. His words are harmless, intended to fire up his players and deflect pressure. Instead, the Jets must worry about finding more high quality individuals this offseason, guys who will play hard for 60 minutes each week and leave all the talking to their head coach. Hard Knock Jets Get Knocked Out in AFC Title Game…Again. His eyes were bleary. His voice was filled with uncertainty. The New York Jets had just fallen to the Pittsburgh Steelers in the AFC Championship Game and Jason Taylor was addressing the media. Taylor and his Jets teammates had the rug pulled out from under their magic carpet ride towards a Super Bowl appearance, and he was discussing the harsh reality that awaited them in the offseason. 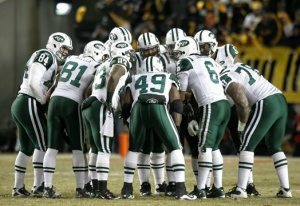 The Jets will huddle up this offseason to regroup for a 2011 Super Bowl run. It’s sad, but that’s life in today’s National Football League. Teams looking to maintain a certain level of success each year must contend with factors like expiring contracts, salary caps, injuries, and age – all of which play a role in shaping a roster. 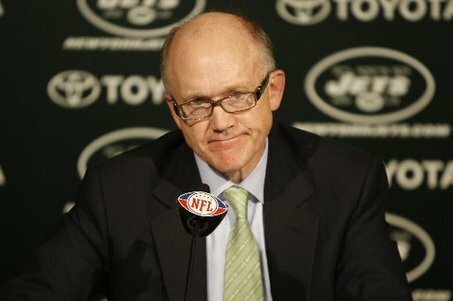 The 2010 Jets were built to win now. They acquired veterans entering the final year of their contract, and although their hand was stacked, they folded in Pittsburgh. Now they must deal with the ramifications after pushing all their chips to the center of the table. Tough decisions will have to be made on key free agents like Braylon Edwards, Santonio Holmes, Antonio Cromartie, Brad Smith, Shaun Ellis, and David Harris, among others. Both kicker Nick Folk and punter Steve Weatherford are free agents too. Gang Green will also have to reach a verdict on the futures of aging superstars Ladainian Tomlinson and the aforementioned Taylor. The Jets were presented with an opportunity in 2010, a once-in-a-lifetime shot to play for a Lombardi trophy. So what will it take for the Jets to get this chance again? It starts with another draft, mini camp, and grueling training camp two-a-days. They must endure another four-game pre-season and sixteen-game regular season. Along the way, they have to avoid potential pitfalls like key injuries, treacherous weather conditions, and any off-the-field issues that could prevent a player from performing. If they manage to surface with a playoff-worthy record in January 2012, they’ll have to win at least one postseason game (at most two) just to get back to the same exact position they already had on Sunday morning. It’s possible. After all, they’ve now done it two years in a row. They have a young, and now experienced quarterback in Mark Sanchez, and a passionate Head Coach in Ryan. One would have to believe they are set up well in those two key areas for years to come. As long as Ryan is leading the Jets, the mission statement won’t change either. He expects the Jets to be chasing a Super Bowl every season, starting with 2011. In truth though, chances like the one the Jets just had are rare. Just ask Taylor. 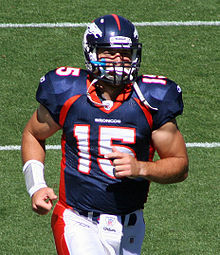 It took him fourteen seasons to get to this point, and he had to join the hated rival of his former Dolphins to do so. Taylor gave it everything he had, invested in Rex Ryan’s scheme, and believed his career would come to an end with him hoisting the Lombardi trophy in a green and white uniform. Long-time suffering Jets fans also had dreams of green and white confetti raining from above. It will be 43 years and counting since Joe Namath led the Jets to glory in Super Bowl III, the franchise’s only appearance on the big stage. After all the hype, the free agent additions, Hard Knocks, Ryan’s bluster, the 11-5 record, and road playoff victories over Peyton Manning and Tom Brady, the fans believed this 2010 Jets team would be the one special enough to end the drought. The Steelers had other ideas. The sobering reality left Taylor, his teammates, his head coach, and all fans bleary-eyed, filled with uncertainty, and forced to accept that this team, as constituted, will never be together again. It just can’t be. A missed opportunity. It’s sad, in its own right.